Cool down your house and reduce energy costs by installing a whole house fan. 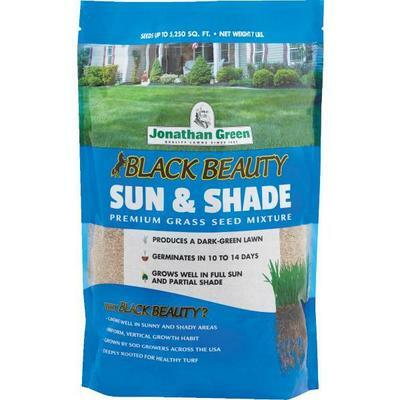 You still have time to reseed patchy areas of the lawn. It is good to do this before it gets too hot and dry. May is the most popular shrub and perennial planting month. Plant a new garden or continue with one you’ve already started! Finish up any spring-cleaning projects. The warm weather is here and who wants to be inside? Mother’s Day is in May. Call your mom, send a card, and buy her flowers. Also, see our collection of Natural Soaps and Lotions, and shop Diane’s Kitchen for fun household gifts. Or, let her decide—consider giving a Woodstock Hardware Gift Card. Please visit our Services page to find out about our Gift Center. If you are planning to paint the exterior of your home, start preparing now. This includes cleaning, scraping, and sanding. Completing the work in small sections will help you remain focused. If you are planning on having your house painted by a professional, call now to make an appointment. Clean your fireplace or wood burning stove chimney now so you don’t have to worry about it come cold weather. Or, call a professional and make an appointment now. Woodstock Hardware has a complete line of chimney cleaning brushes, extension rods, and appurtenances. Clean around your air conditioner compressor. Make sure the compressor unit is free of debris and there is adequate air flow around the unit. Cut down any brush or small trees that may have grown nearby. Inspect storm windows for damage, clean them, and then put the windows safely in storage. Wash the exterior of your windows and then install the screens. Remove storm windows. Inspect the windows for damage, clean the windows, make any necessary repairs, and then put the windows safely in storage. Wash the exterior of your windows and then install screens. Clean and remove debris from under your deck. Clutter can attract local wildlife. Make sure attic vents are clear of debris and that fans are working properly. Tip: Cool down your house and reduce energy costs by installing a whole house fan. Renew your pest control contract and schedule your exterminator. Question your exterminator about the more environmentally friendly products available to help keep your home pest and rodent free. It can be hard to predict ant or mouse season, but May is typically an active ant and mouse period. 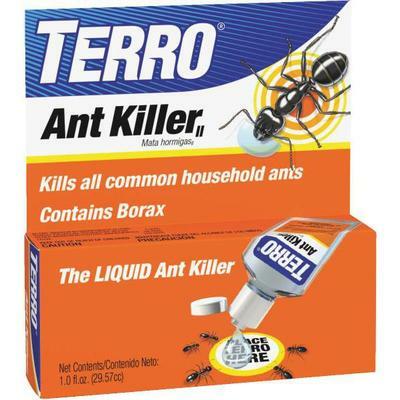 Replace ant or mouse traps and deterrents you may use. Cut back any trees or branches that are touching the siding or roof of your home. You and your family will soon be spending more time on the deck. Use the early warm weather to clean and reseal/stain your deck. There are many structural and environmental factors that determine which of the many products available will be best suited to meet your deck cleaning and resealing/staining needs. With their technical expertise and practical experience Woodstock Hardware can help you make the correct decisions to successfully complete your project. Please visit Woodstock Hardware’s Paint Department. You can find very helpful detailed painting information at Woodstock Hardware’s detailed painting information. Please visit Woodstocks Hardware’s How To Tips to review this valuable paint project information. Clean and repair your patio furniture. Remove mold or mildew left over from the previous year, or that developed while the furniture was in storage. Check children’s play equipment for damage and make any necessary repairs. May is a good time to plant larger shrubs and trees. Make sure you plant a shrub or tree that is compatible with its final location. Use soil, organic manure, peat moss, and fertilizer to make a good planting mix. Woodstock Hardware has a wide variety of quality lawn and garden supplies. 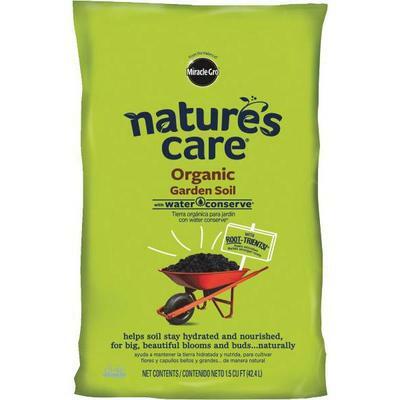 Whether you are looking for conventional products or organic supplies, Woodstock Hardware stocks lawn and gardening tools, fertilizers, insecticides, and pesticides. Please visit Woodstock Hardware’s Lawn and Garden Department to review our supplies. With the May flies/no-seeums buzzing around your head, mosquito season is just around the corner. Check your supply of citronella candles, Tiki torches, and citronella oil. If you would like to effectively control mosquitoes in a larger area, consider purchasing a mosquito magnet. 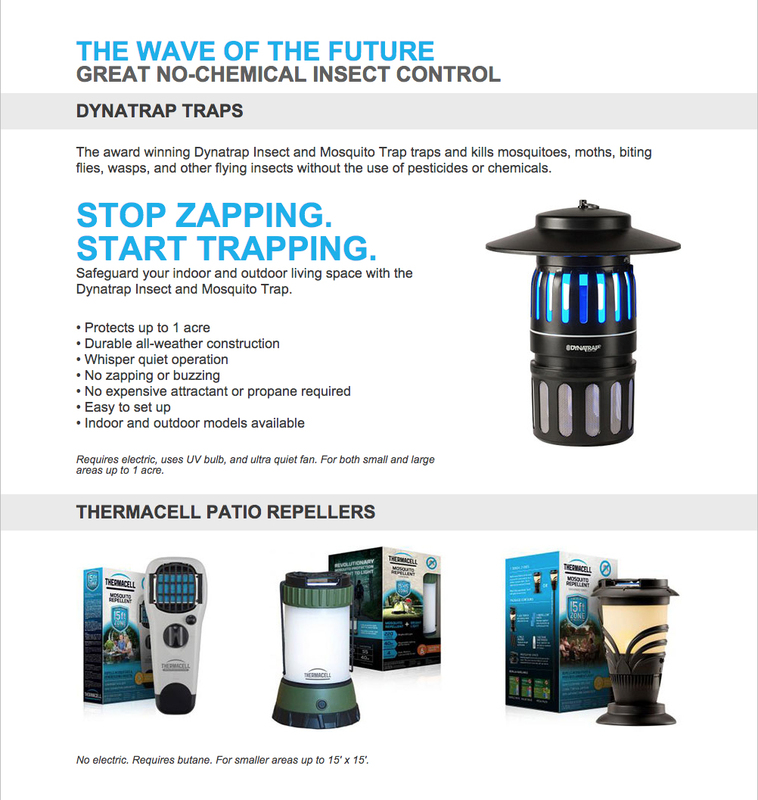 Additionally, you might consider learning more about DynaTrap and Thermacell which showcases the latest in mosquito control utilizing advanced technology to trap or repel these pesky insects. 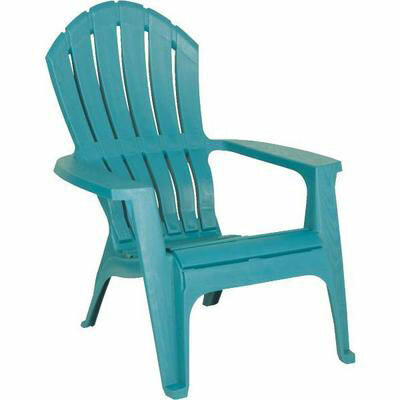 Woodstock Hardware has a wide variety of quality products to help you enjoy your Outdoor Living areas. Whether you need a new Weber gas grill, a cover for your patio furniture, or oil to refill your Tiki torches, please visit our Outdoor Living Department. Don’t forget to check your supply of fertilizers, insect control (including nontoxic fly and wasp traps), pest control, and weed & brush control supplies. May is a great time to express yourself in the garden. Create that new flower, vegetable, or herb garden you always wanted. Plant annuals. Make a hanging basket with annuals for porch or patio. May is the most popular shrub and perennial planting month. Plant your new gardens or continue planting your old ones. Woodstock Hardware has a wide variety of quality lawn and garden supplies to help maintain or create new flower and vegetable gardens. Whether you wish to complete this work using traditional supplies and materials or want to pursue more eco-friendly alternatives Woodstock Hardware can help. Please visit Woodstock Hardware’s Lawn & Garden Department. Perform a good weeding. Make sure your seeds, seedlings, and young plants do not have to compete with weeds for nutrients and water.